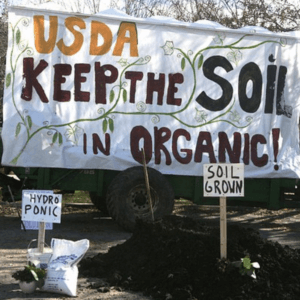 ‘Organic civil war’: Do advocates care about promoting food security and sustainability? 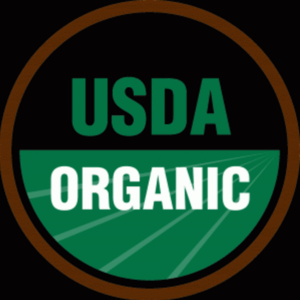 Can consumers rely on the credibility of the USDA organic label? 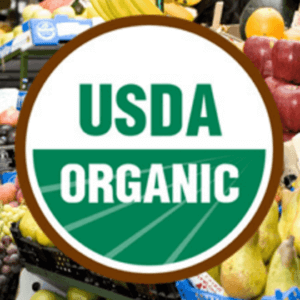 Should Trump scrap USDA’s National Organic Program? After he was severed from WSU, Benbrook continued to represent himself as a “research professor,” and was represented that way by reporters, such as Carey Gillam (then with Reuters and more recently as an editor with the anti-GMO organic funded US Right to Know), when writing about a commentary on GMOs co-written by Benbrook in the New England Journal of Medicine. Benbrook publicly maintained, including in COI statements to the NEJM, that he had no conflicts of interests despite extensive documentation that his entire research efforts at WSU were 100 percent funded by the organic industry (not disclosed to NEJM, see below, Misrepresentations, for an analysis of Benbrook’s claims about his employment situation and in Conflict of Interest representations to NEJM) and that he was (and remains) a paid consultant for organic industry lobby groups and anti-GMO organizations. Publishing in a predatory pay-for-play journal, Benbrook claimed that the use of GMO crops had “backfired” and resulted in unsustainable massive increased in herbicide use. He also claimed that organic crops have equivalent or better yields than conventional and GMO counterparts and that organic foods are safer and more nutritious. He attacked and dismissed scientific research claims which conflict with his views as either tainted by industry funding or as making “rookie mistakes” as he characterized the Stanford University meta analysis of claims organic foods are no safer or nutritious than conventional counterparts. Benbrook had joined CSANR as a “research professor” (see reference for description) in August, 2012. He served as the leader of the CSANR program called Measure to Manage (M2M): Farm and Food Diagnostics for Sustainability and Health (M2M). The stated goal of M2M is to develop, refine, validate, and apply analytical systems quantifying the impacts of farming systems, technology, and policy on food nutritional quality, food safety, agricultural productivity, economic performance along food value chains, and on natural resources and the environment. Initial start-up funding for the M2M program have been provided by United Natural Foods, Whole Foods, Organic Valley/CROPP, and Stonyfield. In addition, the Clif Bar Family Foundation has provided a generous three-year, $250,000 grant to support the dissemination of analytical systems and results via the M2M website. Work on calculating the embedded attributes of food products has been advanced by a $25,000 gift grant from Annie’s, a company working to quantify the benefits stemming from its purchase of a wide range of organic ingredients. Benbrook’s best-known study, published in 2012, concluded that genetically modified foods have resulted in increased pesticide use, purportedly because weeds are developing resistance to glyphosate. The study was widely criticized in the mainstream science community because he used subjective estimates of herbicide usage by relying on data he crunched from the US National Agricultural Statistics Service, which didn’t differentiate between GM and non-GM crops, did not take into account the fact that glyphosate is less toxic than the herbicides it has replaced, thus the net toxicity of herbicide use had decreased even as the total herbicide use increased. Graham Brookes of PG Economics published a peer reviewed report earlier that year that reached a far different conclusion: GM crops may actually have reduced worldwide pesticide use by 9.1 per cent. However, the Benbrook study is still widely circulated on anti-GMO websites as fact. In December 2013, Benbrook was the lead author of a study claiming that organic milk contained significantly higher levels of heart-healthy omega-3 fatty acids. The study was funded in part by the organic milk producer Organic Valley, and was sharply criticized for faulty assumptions and analysis. In July 2014, Benbrook was co-author of a meta-analysis of 343 studies examining the nutritional differences between organic and non-organic food. 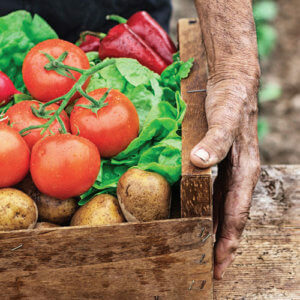 It concluded that organic food had higher levels of antioxidants and lower levels of cadmium than did conventional food. While it is important to pursue advances in how we assess and manage risk, it is equally important to avoid representations that use inflammatory language, are devoid of context and cause undue alarm. Unfortunately, the latter is the case with the recent commentary by Landrigan and Benbrook who cite Agent Orange, Monarch butterflies, and endocrine disruption to support labeling of genetically modified foods and distort the risk posed by plant biotechnology. 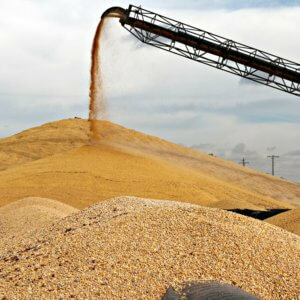 One of Landrigan and Benbrook’s central arguments is that the GMO landscape has changed as a result of the noted increase in herbicide applications to genetically modified (GM) crops. While this increase raises some key issues, such as weed resistance, the commentary suggests implications to consumers and public health that are unwarranted. Whether or not a pesticide is used in conventional or GM crops, the level of acceptable residue on a commodity, known as a tolerance, is set to protect us from harm. Year after year, residues in our food supply have been measured at trace levels that are far below what is required to result in clinically relevant effects. In their piece, Landrigan and Benbrook present a laundry list of familiar misperceptions of modern crop production. Through the lens of their perspective, the public gains a distorted view of the safety of biotechnology crops and pesticides; and of the immense contributions of agriculture to public health in the United States by assuring a safe and abundant food supply. The authors’ statements regarding findings of the NAS 2000 and 2004 reports are misleading both in terms of what these reports state and the progress that is being made. The IARC findings of glyphosate as a probable carcinogen and 2,4-D as a possible carcinogen signal the need for vigilance concerning their use, but say nothing regarding risk to human health. EPA and other regulatory authorities conduct a more holistic appraisal of pesticides which considers a wider array of toxicity information as well as exposure characterization to arrive at an understanding of risk of the chemicals under actual use conditions. It is these regulatory risk assessments that support the safe use of glyphosate and 2,4-D in agriculture. EPA shows appropriate vigilance in assuring safety of our food supply through periodic reappraisal of pesticides and is currently undertaking just such an assessment for glyphosate. Dr. Landrigan and Dr. Benbrook cite glyphosate-resistant weeds as a primary reason why “fields must now be treated with multiple herbicides.” … [G]lyphosate-resistant weeds may certainly have increased the number of herbicides used per acre compared to 5 years ago, but the change has been relatively modest when compared to herbicide use before the adoption of GMO crops. Dr. Landrigan and Dr. Benbrook also make several misleading statements, including that the Enlist Duo registration decision by EPA “failed to consider ecologic impact, such as effects on the monarch butterfly and other pollinators.” The EPA provides all relevant regulatory decision information on its website, including the environmental risk assessment documents. Just one of the risk assessment documents for Enlist Duo contains over 100 pages of ‘ecologic impact’ data and interpretation, including environmental fate, degradation, aquatic and terrestrial organism toxicity and exposure estimates. The EPA also explicitly addresses how Enlist Duo will affect pollinators on an FAQ page dedicated to the Enlist Duo registration. Another misleading statement made by Dr. Landrigan and Dr. Benbrook is that the “risk assessment gave little consideration to potential health effects in infants and children, thus contravening federal pesticide law.” This claim was also addressed explicitly by EPA in the FAQ document. EPA concluded that after incorporating a 10X safety factor for children, and based on a “complete and very robust” data set, that the “risks were still acceptable for all age groups for all components of the assessment: dietary food and drinking water exposure, volatility, spray drift, residential, and aggregate assessment. Did you or your institution at any time receive payment or services from a third party (government, commercial, private foundation, etc.) for any aspect of the submitted work (including but not limited to grants, data monitoring board, study design, manuscript preparation, statistical analysis, etc.)? 100 percent of Benbrook’s funding at his institution was from organic industry commercial interests, which benefit from disparaging the safety of GMOs and pesticides. Place a check in the appropriate boxes in the table to indicate whether you have financial relationships (regardless of amount of compensation) with entities as described in the instructions. Use one line for each entity; add as many lines as you need by clicking the “Add +” box. You should report relationships that were present during the 36 months prior to publication. Both Benbrook and Landrigan are board members, advisors and/or paid consultants to numerous organic activist groups and organizations. Benbrook amended his conflict of interest answers on August 27, but they continue to be inaccurate. He continues to state that he had no “financial relationships” with organizations that might have a vested interest in his work [e.g. defined by NEJM as: “financial relationships with entities in the bio-medical arena that could be perceived to influence, or that give the appearance of potentially influencing, what you wrote in the submitted work. You should disclose interactions with ANY entity that could be considered broadly relevant to the work”. Charles Benbrook joined CSANR as a “research professor” (see reference for description) in August, 2012. He serves as the leader of the new solely organic industry funded CSANR program called Measure to Manage (M2M): Farm and Food Diagnostics for Sustainability and Health (M2M). The stated goal of M2M is to develop, refine, validate, and apply analytical systems quantifying the impacts of farming systems, technology, and policy on food nutritional quality, food safety, agricultural productivity, economic performance along food value chains, and on natural resources and the environment. Benbrook spent the first 18 years of his career working in Washington, D.C., first working for the Executive Office of the President (1979-1980), then as the Executive Director for a U.S. House of Representatives agricultural subcommittee (1981-1983). He was the ED of the National Academy of Sciences Board on Agriculture from 1984-1990, and has run his own consulting firm since 1991. He moved to the west in 1997, and served as the Chief Scientist for The Organic Center from 2004 through June of 2012. 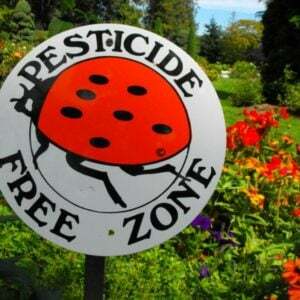 He has participated as an expert witness in several lawsuits involving pesticides and agricultural biotechnology. Chuck Benbrook earned a B.A. degree in economics from Harvard University in 1971, and M.A. and PhD degrees in agricultural economics from the University of Wisconsin-Madison in 1979/1980. Benbrook has a PhD in agricultural economics from the University of Wisconsin-Madison and an undergraduate degree from Harvard University. He held an adjunct faculty position in the Crop and Soil Sciences Department, Washington State University until May 2015. His affiliations and publications all have a decidedly anti-biotechnology, pro-organic slant. “Research” professor (August 16, 2012 – May 15, 2015) — Benbrook’s name has been scrubbed from the “people” section of the CSANR website. His name does not appear in any WSU offered course listings. CSANR officials say they are still in the process of transitioning his website and other resources, which by agreement must be completed by August 31. Previously, as a “research professor”, Benbrook ran the M2M program within WSU CSANR group. His responsibilities were two fold: To boost faculty cadre actively working on organic agriculture at WSU and to establish a peer reviewed research framework for evaluating sustainability metrics, a rapidly growing driver in the organic marketplace. 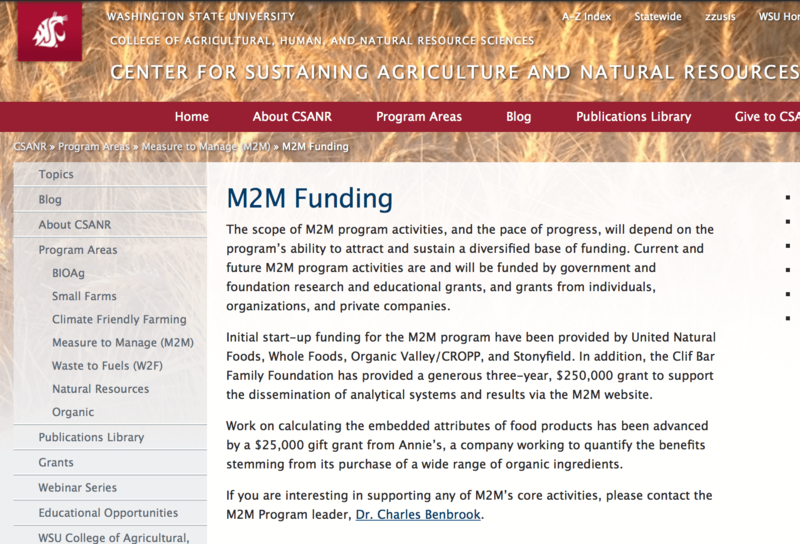 Funding for Benbrook’s M2M program did not come from the University but was provided by a set of organic industry donors with the intent that Benbrook would establish a base from which he could compete for competitive funding–that his work would stand up to scientific review. 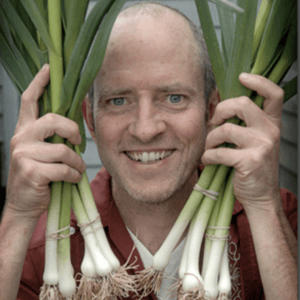 In the three years, all funding for his salary and program came from direct industry support provided by United Natural Foods, Whole Foods, Organic Valley/CROPP, and Stonyfield. In addition, the Clif Bar Family Foundation and Annie’s Organic. Benbrook’s center at WSU appeared to be “virtual” as neither he nor any of his listed staff lived within 200 miles of the University campus and CSANR offices. The official mailing address for M2M is Benbrook’s personal residence in Enterprise, Oregon more than 375 miles from the CSANR offices and University of Washington campus. Computer expert Knote lives “off the grid” near San Point Idaho (220 miles from M2M and 365 miles from WSU campus), data visualization staffer Nicholas Potter resides in Spokane (290 miles from campus and 165 miles from the listed M2M offices). And Davis resides near Austin, Texas (1,800-2,100 miles from the respective locations). 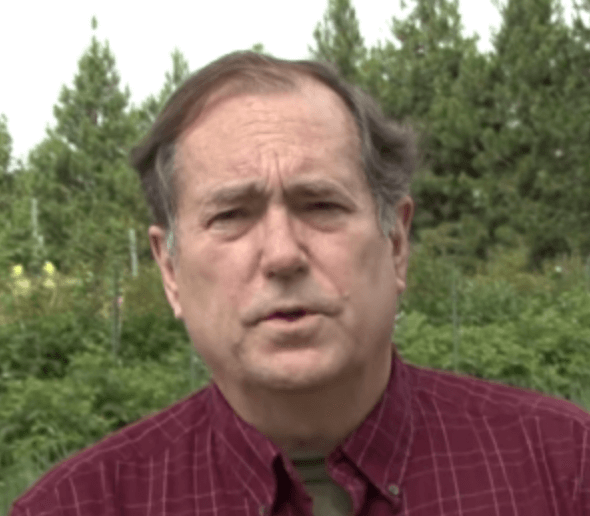 As part of his affiliation with The Organic Center (see below), also an industry funded and led organization now formally part of the Organic Trade Association, Benbrook directed tens of thousands of dollars in donations to Washington State University to support the development of organic farming research. 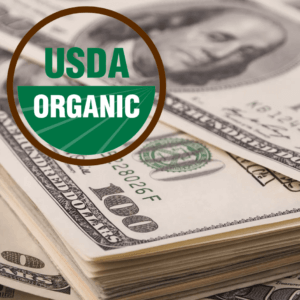 Pacific Natural Foods, a leading organic and anti-GMO food marketer, also provided a $5 million grant to Washington State University in 2012 to support the creation of Benbrook’s organic research center. No unniversity funds are publicly reported as directly supporting Benbrook’s M2M program. Benbrook served as “chief scientist” for TOC from 2006-2012. TOC was an independent NGO laregly funded by the organic industry until 2011 when it formally merged with the Organic Trade Association. 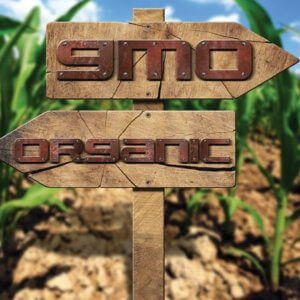 Benbrook led research to support organic agriculture via denigrating conventional agriculture, specifically developing research and public relations campaigns attacking the efficacy and safety of modern crop protection (pesticides) and plant biotechnology (GMOs). From 1990 to present, Benbrook has served as a scientific and technical consultant to the organic food industry and organic-supporting advocacy groups. In this capacity he has also served as an expert witness for litigators (including The Center for Food Safety in pesticide and biotechnology-related cases suing the federal government and ag biotech companies. He also owned and ran the website and listserv Biotech Info Net (no longer active). Benbrook’s clients include national consumer and environmental groups, international organizations, companies, federal and state government agencies, trade associations, and academic research organizations. Most recently, Benbrook was a consultant to Whole Foods, which in a controversial decision launched a “Responsibly Grown” ratings system. It allowed the grocer to pick and choose within a list of agrichemicals it considered harmful and less harmful. 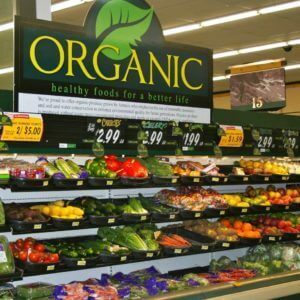 Some organic products were rated as harmful under this system and some non-organic produce treated with certain chemicals, were listed as “best,” in many cases rating above certified organic fruits and vegetables. 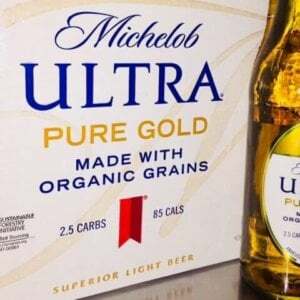 It has created a furor among organic purists. The editing of the documentary will lead viewers to the erroneous conclusion that the employment of Charles Benbrook at the NAS-NRC was terminated as a result of his role as the director of the study on children and pesticides. This simply was not the case. The facts are that Mr. Benbrook was warned both orally and in writing on multiple occasions, long before the Landrigan committee began writing its report, that his public comments in speeches, testimony, and in print, on studies already completed and on other matters were inappropriate to his role as a member of the NRC professional staff. Indeed, in a letter of warning that I wrote to Mr. Benbrook on November 14, 1989, I stated that “the NRC corporate entity must be non-partisan, and professional staff statements should reflect views that have resulted from our process of balanced committee analysis and careful review. Your actions… do not conform to that process and you have been frequently advised to be more careful.” Mr. Benbrook chose subsequently to ignore the specific guidance contained in the letter and, after yet another such incident regarding a public statement he made on an unrelated matter, he was asked to resign one year later, when the children and pesticides study still was in an early stage of development. From 1981 t0 1984 Benbrook served as a sub-committee staff person to U.S. House of Representatives George E. Brown and Congressman Jim Weaver of Oregon. From December 1979 to March 1981 Benbrook served as an agricultural policy analyst. 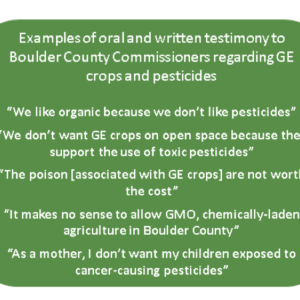 Benbrook actively advocates that GMOs can cause known allergies or post other safety challenges and pesticides are unsafe, unjust and unsustainable. He claims organic farming is a safer, healthier and superior system. “Biotechnology is not a system of farming. It reflects no specific philosophy nor is it guided by a set of principles or performance criteria. It is a bag of tools than can be used for good or evil, and lots in between.” The Economist, November 2009. “Clearly the biotech industry will ultimately be held responsible for negative impacts of their technology. It may take lawsuits or class action lawsuits. 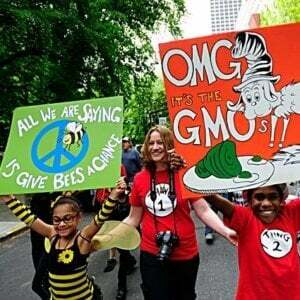 The system has to change; it is unjust and not sustainable,” The Organic & Non-GMO Report, February 2011. Dr. Alan McHughen (UC Riverside) and researchers Graham Brookes and Janet Carpenter documented various “inaccurate claims”, “inaccuracies and biased assumptions” and “misleading use of official data” they describe as Benbrook’s justification for using his “own interpretations and assumptions” for over-estimating pesticide use on GMO crops while underestimating use on conventional and organic crops and that Benbrook produced no references from reputable science journal published research to support his allegations of human health risks from GMO Bt crops. “The data on which Benbrook relied do not, in fact, support his conclusions. His work exemplifies the observation of biologist James F. Bonner, who once said about the research results of a competitor that did not agree with his own, “There are a thousand ways to do an experiment wrong.” Benbrook has found many of those ways, and his recent article serves as a case study of how to bend the data to support a preordained (and insupportable) conclusion.” and “While at his previous position at the U.S. Organic Center, which is ideologically and intractably (and irrationally) opposed to genetic engineering, Benbrook authored many other papers with similar claims about genetic engineering. None were published in reputable peer-reviewed journals and when independently assessed, they were invariably exposed as being misleading and inaccurate. From his new perch in academia, Benbrook has sought credibility by managing to get one of his ideological screeds into a peer-reviewed journal.” – Graham Brookes is an agricultural economist with the UK-based consultancy business PG Economics and author of 13 peer reviewed papers on the economic and environmental impact of genetically engineered crops. With, Henry I. Miller, a physician and molecular biologist, is the Robert Wesson Fellow in Scientific Philosophy and Public Policy at Stanford University’s Hoover Institution. PG Economics: “The OC’s assessment of the impact of biotech herbicide tolerant traits (HT) is disappointingly inaccurate, misleading and fails to acknowledge several of the benefits US farmers and citizens have derived from use of the technology… Its conclusions are highly dependent upon the assumptions used, and perceptions of the author, as to how seed markets work and farmers behave. We consider that the mainstream US market evidence does not support the OC report conclusions.” PG Economics briefing note 4 December 2009, “The Magnitude and impacts of the biotech and organic seed price premium: US Organic Center report assessment by PG Economics” & PG Economics Briefing note: 19 November 2009, “Impact of genetically engineered crops on pesticide use: US Organic Center report evaluation by PG Economics. Benbrook, C. Impacts of genetically engineered crops on pesticide use in the U.S. – the first sixteen years, Env. Science Europe, accepted. Forthcoming 2012. Benbrook, C. et al. Methodologic flaws in selecting studies and comparing nutrient concventrations led Dangour et al to miss the emerging forest amid the trees, Am. Jour. Clinical Nutrition, Vol. 90(6): 1700-1. 2009. Benbrook, C. The Impacts of Yield on Nutritional Quality: Lessons from Organic Farming, HortScience, (2007). Benbrook, C. et al. Use of ‘resistance risk profiles’ to guide resistance management planning, Pesticide Outlook, Royal Society of Chemistry, 14:3, June 2003. McCullum, C., C.M. Benbrook, L. Knowles, S. Roberts, & T. Schryver. Application of Modern Biotechnology to Food and Agriculture: Food Systems Perspective, J. Nutr. Educ Behav., (2003); 35:319. Baker, B. P., C.M. Benbrook, E. Groth, and K.L. Benbrook. Pesticide residues in conventional, integrated pest management (IPM)-grown and organic foods: insights from three US data sets. Food Addit.Contam Vol 19(5): 427-46. 2002. Benbrook, C. M. et al. Developing a pesticide risk assessment tool to monitor progress in reducing reliance on high-risk pesticides. American Journal of Potato Research, 79 (2002): 183-99. Benbrook, C. M. Organochlorine residues pose surprisingly high dietary risks. J Epidemiol Community Health 56.11 (2002): 822-23. Benbrook, C. Do GM Crops Mean Less Pesticide Use?, Pesticide Outlook, Royal Society of Chemistry, October 2001. Nigh, R., Benbrook, C., Brush, S., Garcia-Barrios, L., Ortega-Paczka, R., Perales, H.R. 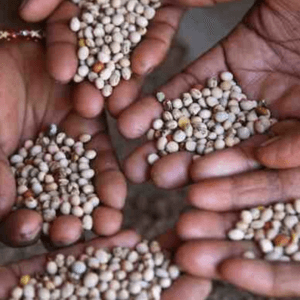 Transgenic crops: a cautionary tale, Science, Vol. 287 (5460), 2000. Page 1927. Benbrook, C. Apples, Kids and Core Science, Choices, Third Quarter 2000, Am. Ag. Econ. Assoc. 2000. Lynch, S., D. Sexson, C.M. Benbrook, M. Carter, J. Wyman, P. Nowak, J. Barzen, S. Diercks, & J. Wallendal. Working out the Bugs, Choices, Third Quarter 2000, Am. Ag. Econ. Assoc. 2000. Benbrook, C. Why A Leopold Center for Sustainable Agriculture?, February 6, 1990. Jan-Feb. 1991 issue of the Journal of Soil and Water Conservation. Benbrook, C. Appendix B, Private Sector Research Activities and Prospects, in Investing in Research: A Proposal to Strengthen the Agricultural, Food, and Environmental System, NAS Press, 1989. Benbrook, C. Is American Environmental Policy Ready for de Minimis Risks in Water?, Regulatory Toxicology and Pharmacology 8, pp. 300‑307 (1988). Benbrook, C., and P. Moses. Engineering Crops to Resist Herbicides, Technology Review, MIT Press, November‑December 1986, pp. 55‑61, 79. Benbrook, C. First Principles: The Definition of Highly Erodible Land and Tolerable Soil Loss, Journal of Soil and Water Conservation, January‑February 1988, pp. 35‑38. Benbrook, C. The Science and Art of Conservation Policy, Journal of Soil and Water Conservation, September‑October 1986, pp. 285‑291. Benbrook, C., and W. Brown. Public Policies and Institutions to Enhance Crop Productivity, Crop Productivity Research Imperatives Revisited, proceedings of the Crop Productivity Revisited Conference, December 11‑13, 1985, Airlie, Virginia, pp. 239‑257. Benbrook, C. Carcinogen Policy at EPA, Letter to Editor, Science, Vol 219, page 798. 1983. 4 A research professor is one who does not take on all of the classic duties of a professor, but instead focuses on research. At most universities, research professors are not eligible for tenure and must fund their salary entirely through outside research grants, with no regular salary commitment from internal university sources. In parallel with tenure-track faculty ranks, there are assistant and associate research professor positions. 16 NAS Bill Moyers Letter, by Frank Press, National Academy of Sciences, March 15, 1993. 22 A Review of the Nutrition Claims Made by Proponents of Organic Food, by Joseph D. Rosen, J. Comprehensive Reviews in Food Science and Food Safety, Volume 9, Issue 3, May 2010.